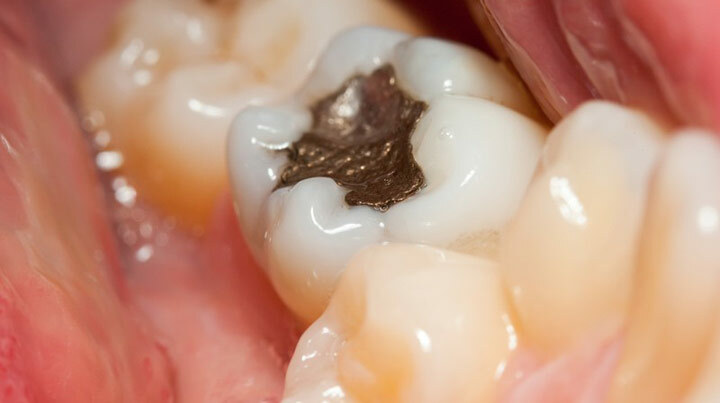 In the early years of dentistry, silver amalgam was the most common form of dental filling. As dentists have sought stronger fillings that provide a more appealing look, two modern alternatives have arisen: Plastic dental fillings and ceramic dental fillings. Both of these are commonly used by adults and may last 20-30 years with appropriate care, but they are not the same. Most patients find one of the two options is right for them, but it’s important to understand the differences. Let’s take a closer look. Resin composite fillings are good-looking but generally not used on rear molars, since there is a higher risk they may wear out. Other forms of filling are more durable and, thus, more suitable for chewing surfaces. Ceramic fillings are great when you want a solution that’s discreet and aesthetically pleasing but also strong enough to be used on all teeth throughout the mouth. They’re more expensive than most other filling options, but they offer superior performance. In addition to being very strong, they also resist cracking, chipping, stains, and abrasion. They may be noticeable at first, but they will soon acquire a soft tint that allows them to blend in. They are the option of choice for patients who want to invest more for superior quality. The one minor drawback of ceramic fillings is that they are more brittle than other kinds. That means the filling itself must be larger and more material must be removed from the tooth prior to placement. Some patients prefer to avoid the removal of additional enamel. No matter which dental filling you prefer, advice from a trusted dentist will make your decision much easier. To find out more or set an appointment, contact us today.